Less climbers this year to the top of Mt. Everest? It is unclear if anybody is going to make it to the top of Mount Everest this year from the Nepali side. 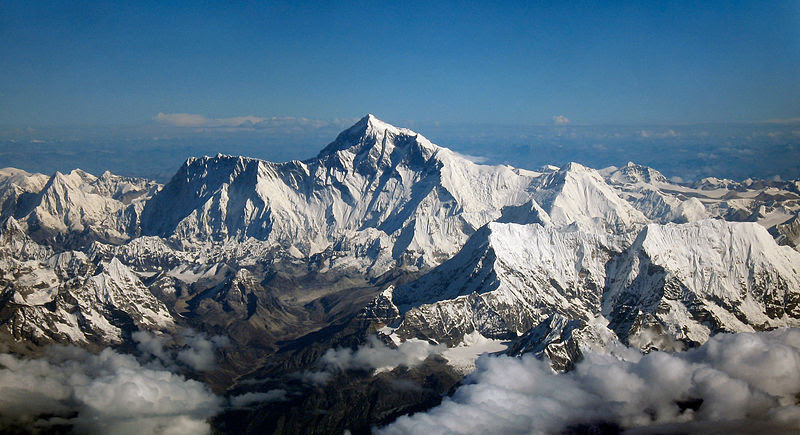 On April 18, an avalanche on Mount Everest killed 16 Nepalese mountain guides (known as Sherpas). The Sherpas were fixing ropes and getting the route ready for climbers. Sherpas are folks who help people climbing the mountain by carrying their stuff, helping put up tents, cooking food, and also fixing ropes on the mountain that the climbers use. Many Sherpas were upset at Nepal’s government for not paying them enough money even though they do such a dangerous job. Also, out of respect for their friends who died, they refuse to climb the mountain. Climbers won’t be able to get to the top of Mt. Everest from the Nepali side without the Sherpas. Climbers can attempt to get to the top from the Chinese side. Mount Everest is the highest point on Earth. It sits on the border between Nepal and China and has a height of 8,848 m (29,029 ft). May is considered one of the best months to climb to the top of Mount Everest, and on a day with good weather, there can be a human traffic jam in certain sections of the climb. One of the most famous Sherpas is Tenzing Norgay (image). In 1953, he climbed to the summit of Mount Everest along with Edmund Hillary (from New Zealand), making them the first people to reach the peak.